For many, shopping is a recreational activity. It does offer positive rewards, such as new, needed items for your wardrobe, home or office and social time with family or friends. But for some, shopping goes further – it’s compulsive, an addiction. Buying more than you need can lead to debt, stress, anxiety and waste. Do have space to store it and time to maintain it? Giving thought to each purchase can save you money and keep clutter under control. 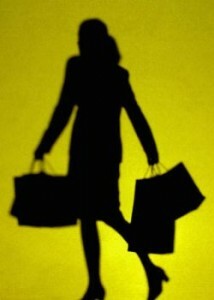 Shopping can become a compulsive disorder, where buying brings about a temporary high. This behavior can cause significant damage to both finances and relationships and goes way beyond the occasional shopping spree. According to Licensed Family and Marriage Therapist Angela Wurtzel, these questions can help determine if you shop/spend compulsively. For each, answer almost always, once in a while, infrequently or not at all. Do you buy things you want even if you know at that moment you do not have the money to pay for it? Is it difficult for you to save money? When you have some extra cash that you could save, instead, you think of other things you would like to buy? Do you cheer yourself up or give yourself a reward by “going shopping”? Does more than a third of your income go to pay credit card bills, not including rent or a mortgage payment? Have you had to move credit lines because you typically don’t have the money to pay off your credit line? Do you pay the minimum balance on your credit card most of the time? Are you inclined to keep buying more of your favorite things – clothes, makeup, cd’s, books, computer software, electronic gadgets – even though you do not have a specific need for them? When and if you have to say “NO” to yourself, or control yourself from buying something you really want, do you feel intensely deprived, angry or upset? If you answered always and once in a while to at least four of these questions, you may have overspending tendencies. If the last questions provoked an always or once in a while response, compulsive spending/shopping should be considered as a real concern. A professional therapist and/or debt counseling can help. Real Order changed my life! They made the most overwhelming job easy and broken it down into manageable tasks. After years of moving and never quite unpacking, I had tons of stuff I didn’t need. Best part was they understood the obstacles I faced and didn’t judge me. They were so nice and helped me declutter and reorganize my entire house, even took care of donations. I couldn’t be happier.